Learning to surf is downright torture. You get knocked down, splashed in the face and pulled from currents below. What person in their right mind would take up such an activity? I did for a while, until the board kicked back so hard that it almost crushed my face. I had a bruise the size of a tennis ball on my jaw line. I have to consider myself lucky that it didn’t hit slightly higher or even a bit lower. It hit me at just the right spot. Will I get back on the board, of course. Am I foolish probably. Every time I would paddle out I had to sort my head game. No doubts are allowed on the ride, the wave will arrive whether we are ready or not. If we hesitate we won’t be able to build the momentum to paddle quick enough to get the jump start. 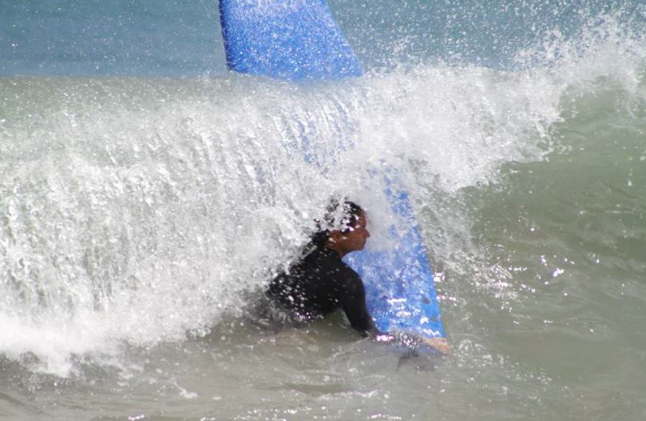 Then you have to pump at the wave while riding it. It is an amazing feeling when you catch it. I am very much a novice when it comes to surfing. I haven’t been on the board in over a year and half, but you better believe I will go for it. I could get hurt, but I could also enjoy some of the best waves of my life. I can’t bench warm the days of my youth. Sign me up I came to play. Oh the best part…waves crashing overhead. 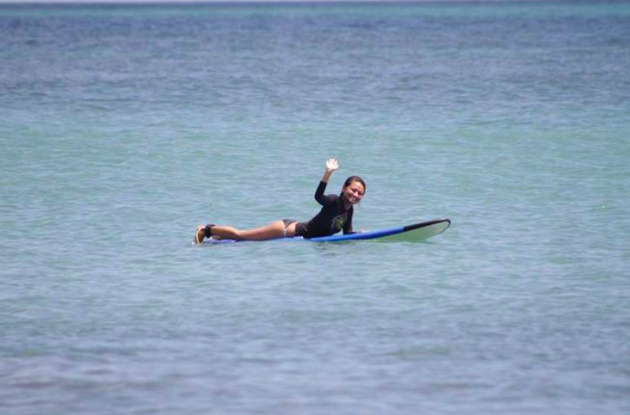 My second attempt at surfing 2 years ago. Actually did pretty well with the standing bit. Focused on just staying on the board. I fell way more times then I stood. Waiting for my next ride.